Hope this email finds you well and healthy. Just writing an update to fill you In on what has been happening on and off the bike for me post London Paralympics. I have enjoyed some time off the bike immediately after London, where I spent time with family and friends. Spent time talking at a number of events, including the Outward bound 50 year anniversary as well as the Spirit of New Zealand 40 year anniversary. Both these events were a highlight and I am proud to say that I can support both these wonderful organisations through a ambassador role. I then spent the summer enjoying the heat in Australia with my partner Sean and his family. 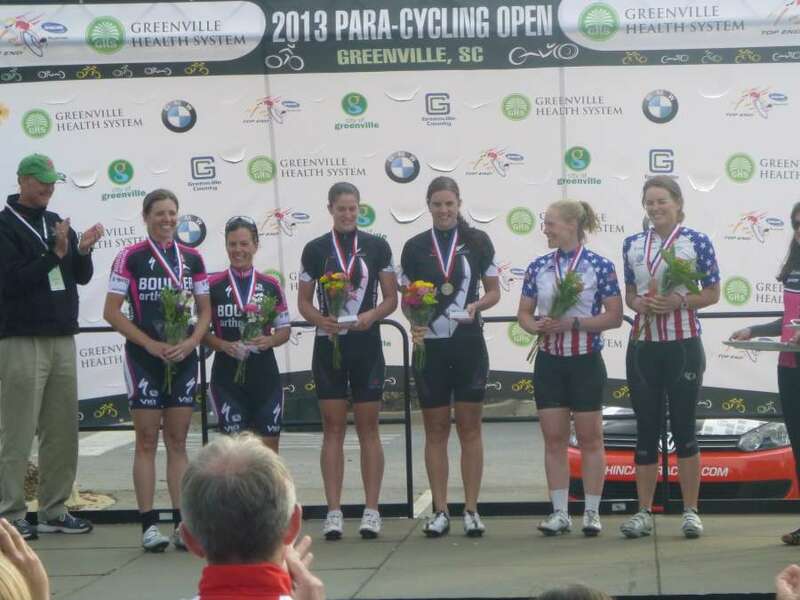 It was also a chance for me to get back on the bike and renew my passion for cycling. 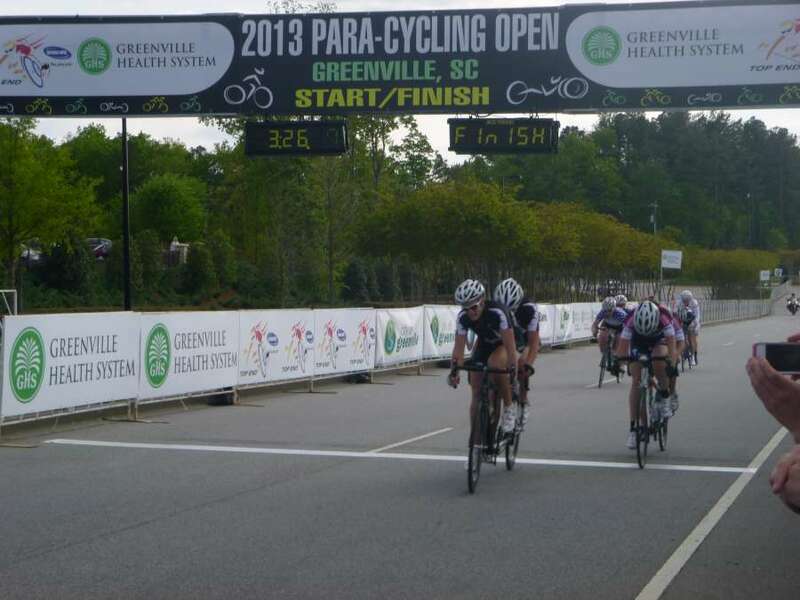 Currently I am in Greenville, South Carolina competing at an international P1 cycling event. Basically a P1 is an event which is a tier below a world cup event. Prior to coming over here I have settled back into Invercargill and have got back into full time training under guidance from my coach Brendon Cameron with some good personal results coming through. In particular there is a training session that I do called Telladega which I used in training prior to London and now in the same conditions I have improved my time on this course by 5 minutes. After returning from Australia I attended the Halberg awards night in Auckland were I was a finalist in the disabled sports person of the year, and while I did not win the category it was an amazing event to be recognized along with some of New Zealand's best sports men and women. My partner Sean and I took part in this year's grape ride in Blenheim. We rode this event together last year. There was a greater number of tandems entered this year, which is exiting for me and gives me a chance to race other tandems which is a novelty in NZ as there is limited opportunities. 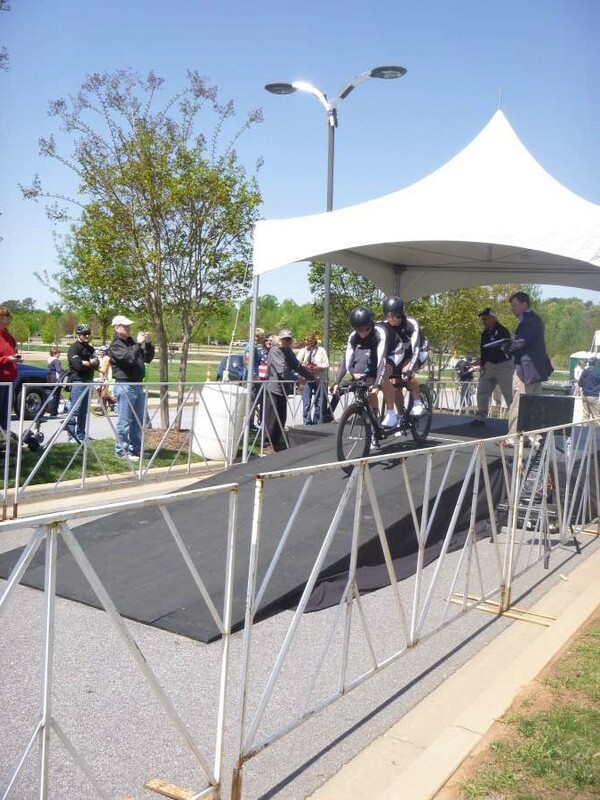 There was a record number of 23 tandems at the event, and given that the event is not a Para-cycling event we had good competition from able bodied teams. Sean and I finished second outright tandem and first mixed tandem in 2hours 40mins which was 15 minutes faster than last year, and was only 10 minutes slower than the fastest time of the day set by the elite men's race. As I mentioned earlier Laura and I are currently in Greenville, South Carolina. We are here along with our coach Brendon Cameron and manager Emily Smith. The purpose of this trip was for Laura and I to get back on the tandem together after a break off the tandem since London, so a good chance to blow out the cobwebs and also to scope out the course, as it is the course which will be used for the 2014 Road World Championships. It also provides Brendon and Emily useful information to relay back to the wider PNZ Bike team for next year. We have had a good trip here with winning the 21km road time trial, 1 minute and 17 seconds ahead of second place. The following day we had a 66km road race were we won a sprint finish to the line. The road race was an interesting one as there was a race within a race as it was important for the American tandems as this event was there selection event to make the team for worlds. The race was pretty intense for the first two laps with all the tandems making attacks and sussing each other out, with a tandem being able to get away on the start of the 3rd lap, they managed to get out to 1min 20seconds at one point before the peloton worked together to bring them back with 1 lap to go, then it was game on, back to everyone's individual race. Laura and I played it smart and put in a few false jabs to tire out the other teams before making the winning move by initiating the sprint 500m from the finish, it was an uphill sprint and we managed to get the element of surprise and hold off the other teams to win by a tandem length. Upon returning back to New Zealand I have my investiture in Wellington where I will receive a New Zealand Order of Merit for services to cycling. I am continuing with my studies at SIT and if all goes well I will be graduating this year with a diploma in therapeutic and sports massage and a diploma in sport and recreation. I will also be continuing full on training, setting new goals and striving to achieve them in the next phase of training, and hoping to be selected for the PNZ Bike team to head to Canada in August for the Road World Cup and Road World Championships.